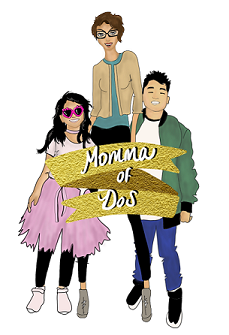 ::Momma Disclosure:: This is part of a sponsored collaboration with General Motors. All opinions expressed are my own. 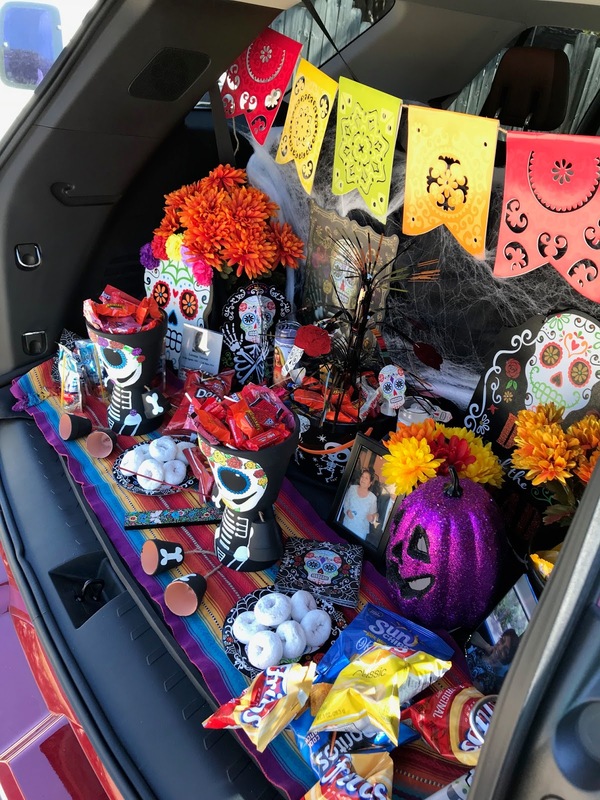 What better way to celebrate our culture and teach children about our traditions than to create a Dia de los Muertos altar or ofrenda. This year I partnered with GM, and Chevrolet for a Trunk or Treat event to teach our children about keeping safe while having fun and enjoying Halloween night! We created a truck altar which embodied all of the traditional elements of our customs as well as let the kids get fun treats and enjoy their night safely. 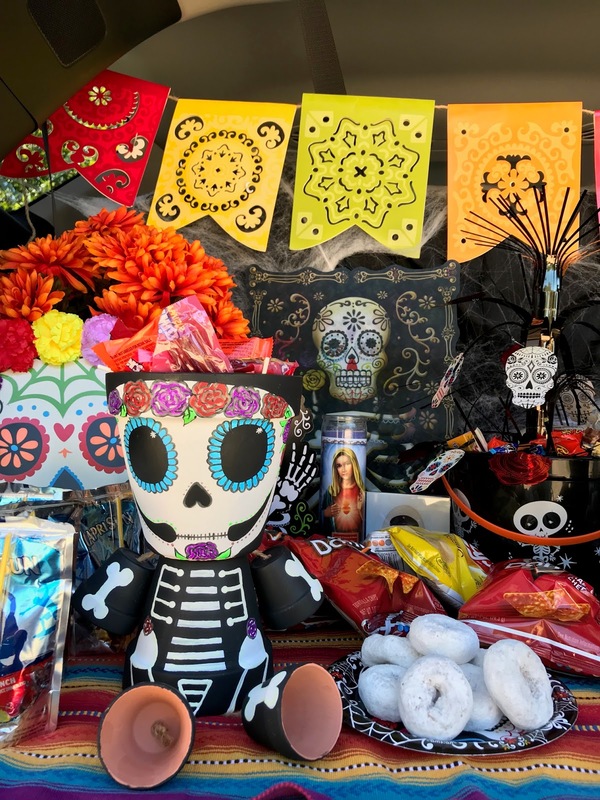 Some of my favorite elements of the ofrenda are the food, the pictures, the papel picado and of course the traditional calavera, or catrina. We loved putting the altar together and then sharing it with friends and family. 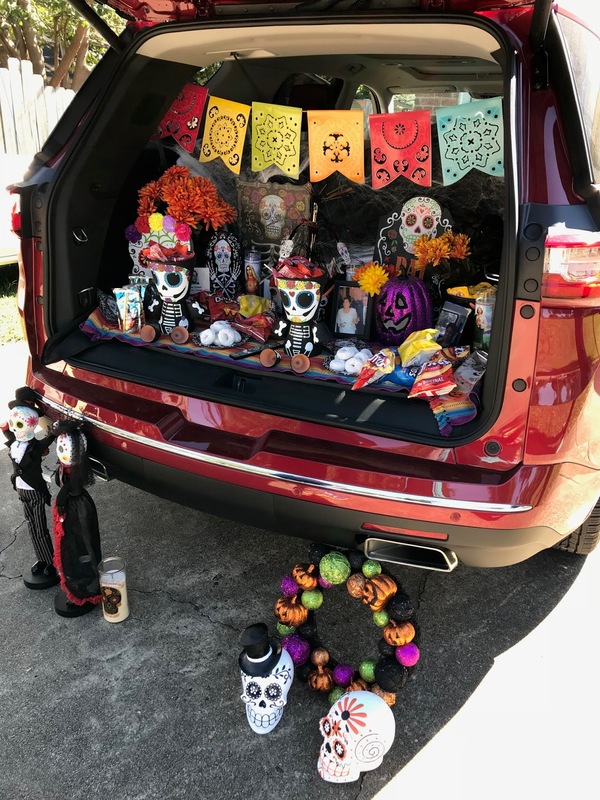 We fully enjoyed the Chevy Traverse for 7 days, it's features and comfort were so amazing. We really did fall in love with this mid-size SUV. 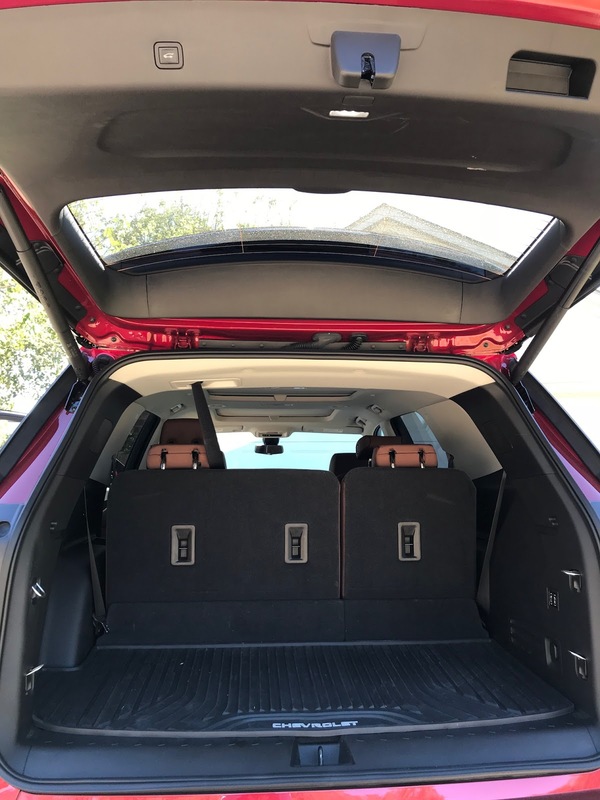 It's a great family car with great space. As you can see the trunk was just the right size! Did you know that on average, children are more than twice as likely to be hit by a car on Halloween than on any other day of the year? 1.) 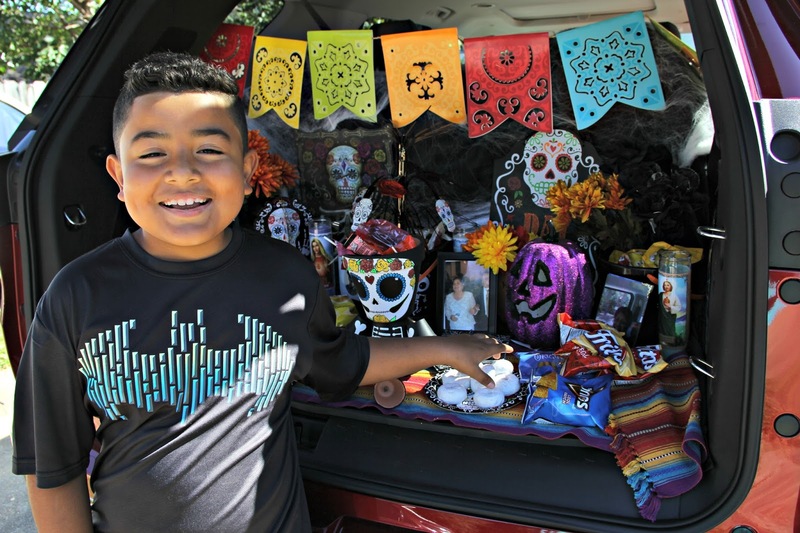 Drive Scary Slow – Kids are excited, full of sugar and potentially walking in shoes that could cause tripping. Slow down and be prepared to stop for the ghosts, goblins and crossing the street or chasing a piece of their costume in the wind. 2.) Treat Yourself to Car Tech – Chevrolet recommends you never turn off safety alerts, but if you have, turn them back on. Features like rear-view or forward-facing cameras, collision alert sensors and 360 cameras give drivers a better view of what or who is surrounding their vehicles while backing up or just driving down the street. 3.) 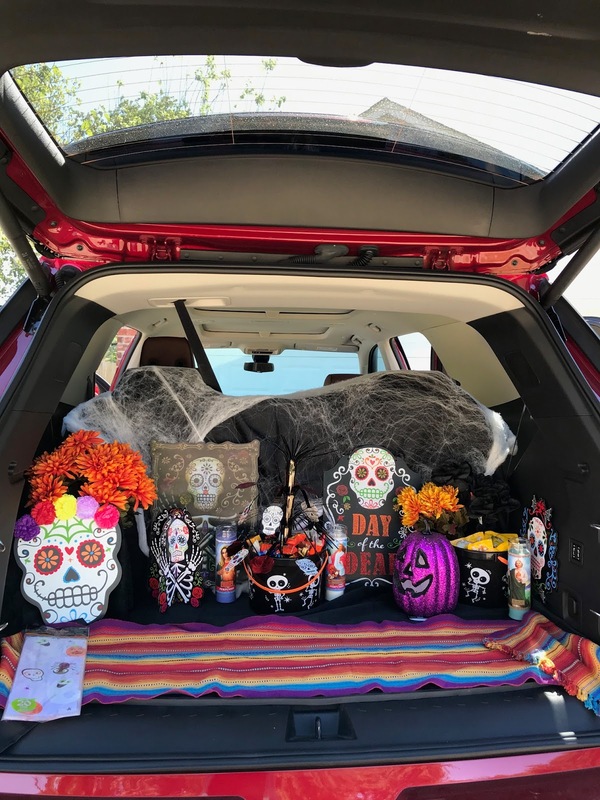 Avoid Dreadful Distractions – If you are concerned about being tempted to use your phone while driving, take advantage of vehicle storages cubbies that you cannot access while driving to eliminate the temptation and distraction. 4.) 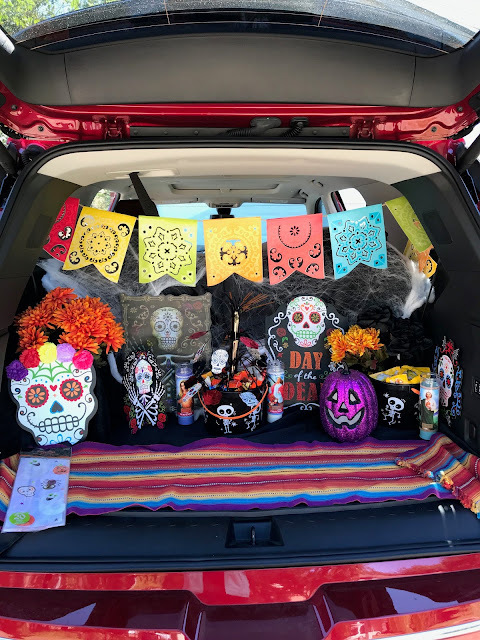 Motorists and Masks Don’t Mix – While it may be fun to make fellow motorists laugh, it’s a bad idea to drive while wearing anything that could potentially impede vision like masks, goggles or silly glasses. Place them in the trunk or a convenient storage space to avoid sliding while driving until you reach your location. 5.) 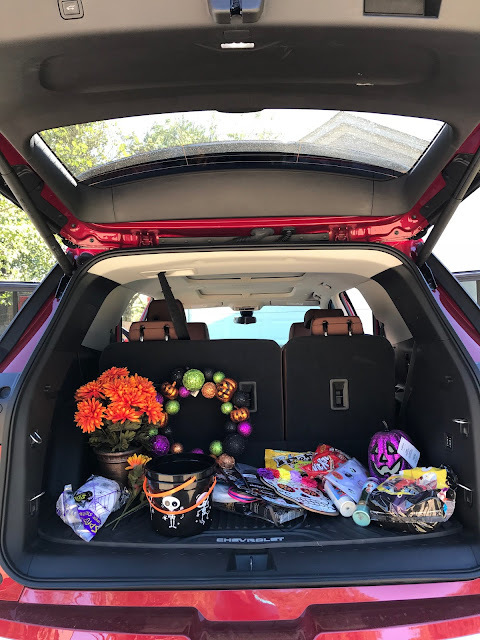 Don’t Get Tricked, Always Buckle Up – whether you’re rolling slowly on the street while your kiddos rock the sidewalk or you’re moving a group of superheroes door to door, be a stickler for safety and buckle up every time you’re in motion. 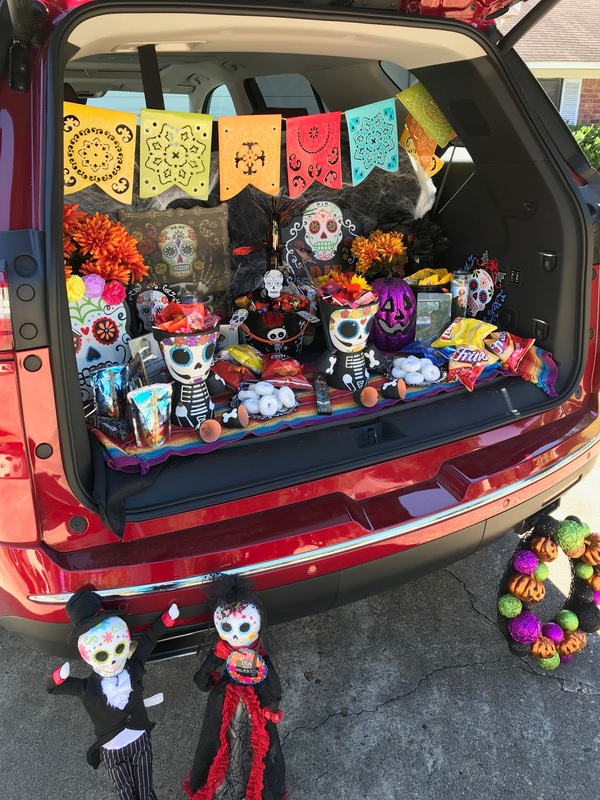 We hope you had a great Halloween and Dia de los Muertos celebration with your loved ones.